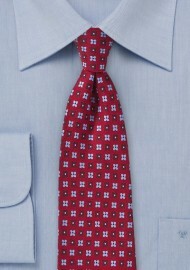 Become know for your style and elegance thanks to this new floral silk tie in cherry red, light blue, and burgundy. The alternating blue and burgundy flowers are printed using hand silk screens onto finest silk twill. 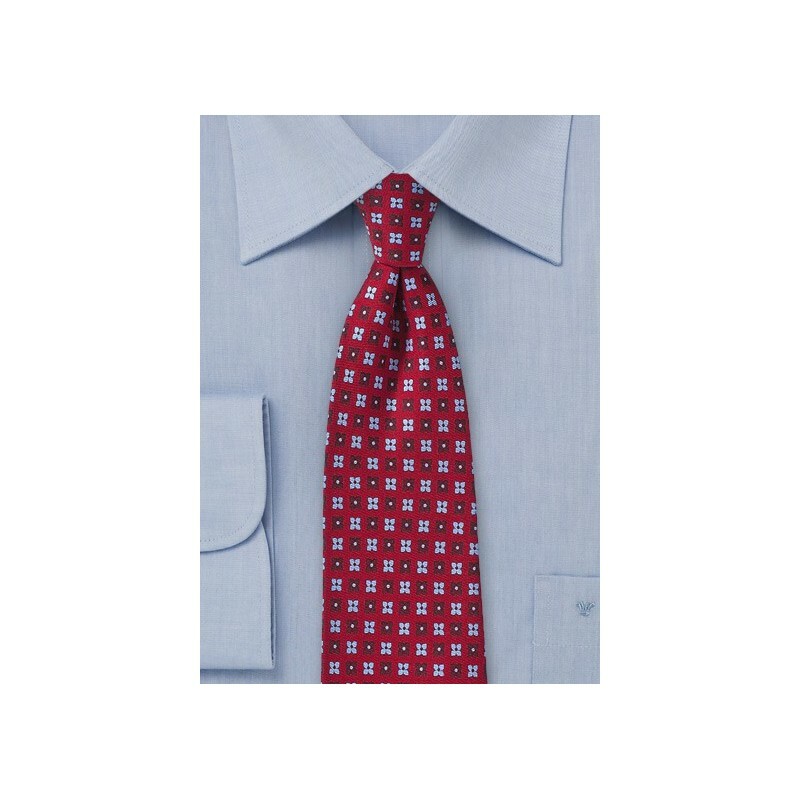 It is a truly captivating pattern that will look its best on top of a solid light blue dress shirt. Made from finest silk.